04 Sep 2018 --- Dunkin’ Donuts is investing US$100 million in a brand refresh which would see the coffee and donut chain unveil around 50 pilot stores across the US that focus on to-go and mobile ordering. As part of the trial, stores will be equipped to serve better customers accustomed to ordering on mobile devices making it easier for them to grab-and-run as well as installing dedicated pickup areas, digital kiosks and drive-thru windows that prioritize orders via a mobile app. The high-tech move by Dunkin’ Donuts comes at a time when the coffee/café space is going through somewhat of a transformation with a definite shift toward upscaling premium coffee experiences. At the same time, market dynamics are also changing as demonstrated by last week’s significant acquisition of coffee giant Costa by the Coca-Cola Company which is acquiring the UK-headquartered coffee chain for £3.9 billion (approximately US$5.1 billion). Coffee is big business with many formats. As the coffee and hot beverages category is going through a major growth period, Coca-Cola’s significant investment shows how key players that traditionally haven’t been interested in the coffee space, are switching focus and making moves to include it in their portfolio. Interestingly, Innova Market Insights expected a lot of movement in the coffee category this year when it named Beyond the Coffeehouse as its trend #5 for 2018. 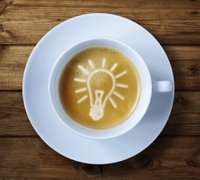 “Coffee used to be a thing that your old parents drank, but once it jumps the category its becomes super interesting,” stated LuAnn Williams, Director of Innovation at Innova Market Insights, when the trend was first announced. The driving factor behind the Coca-Cola Costa acquisition is the fact that global consumers are continually looking for new products in the coffee and hot beverages category – and Coca-Cola wanted a piece of the coffee action. says Coca-Cola President and CEO James Quincey. “Costa gives Coca-Cola new capabilities and expertise in coffee and our system can create opportunities to grow the Costa brand worldwide,” says Coca-Cola President and CEO James Quincey. 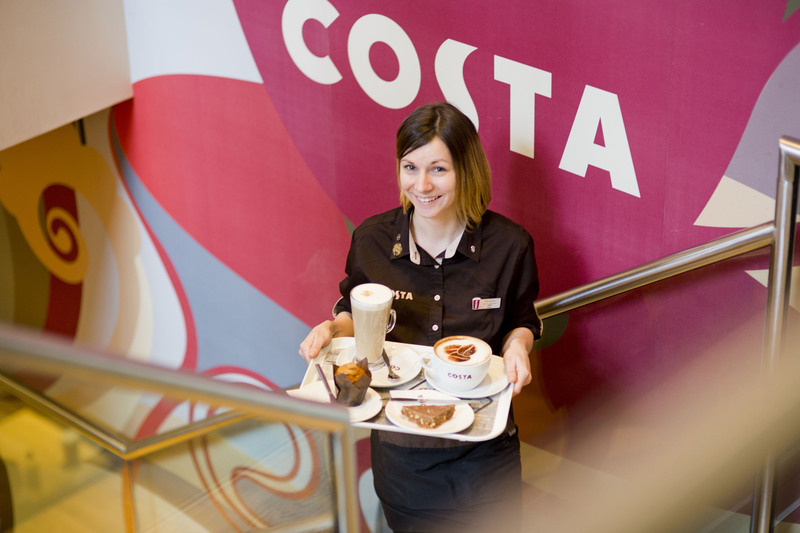 The acquisition of Costa from parent company Whitbread PLC will give Coca-Cola a strong coffee platform across parts of Europe, Asia Pacific, the Middle East and Africa, with the opportunity for additional expansion. For Coca-Cola, the expected acquisition adds a scalable coffee platform with critical know-how and expertise in a fast-growing, on-trend category. Generally coffee is trending among Millennial and Generation Z consumers – something Dunkin’ Donuts digital transformation takes into account by tapping into the more convenient ways to consume. Sales at Dunkin’ Donuts US increased 2.8 percent in 2017 compared with 2016, but comparable-store sales only inched up 0.6 percent compared with the previous year. The company will be expecting the brand transformation across approximately 50 stores will increase footfall and revenues. And now the Dunkin’ Donut brand transformation demonstrates the investment in technology and new store designs aims to improve order speed, accuracy and convenience in a bid to boost sales. The company will be tracking a series of metrics like average weekly sales, digital-order and drive-through data to measure the impact of the redesign which has already started in one Massachusetts store, the city where the company’s first store opened more than 50 years ago. The Dunkin’ Donuts’ redesigned store concept is also all about keeping pace in the coffee/cafe space which has an abundance of competition right now as other key players like Starbucks and McDonald’s also try to cater to the growing on-the-go market as more and more customers expect to order their goods through mobile apps. In addition, Nestlé and Starbucks formed a “global coffee alliance” in a US$7.15bn distribution deal in May that sees two of the most iconic coffee brands join forces. The world’s largest food and beverage company agreed to the global license of Starbucks consumer and foodservice products allowing it to market them outside of the company’s coffee shops. The “historic deal” comes at a time when Starbucks has been struggling with declining footfall in the US despite a series of promotions. The alliance will leverage the scale and sophistication of two of the world’s most recognized consumer brands and bring Starbucks packaged coffee into regional markets globally. The two companies will work closely together on the existing Starbucks range of roast and ground coffee, whole beans as well as instant and portioned coffee. The deal also allows Nestlé to capture exciting new growth opportunities in the rest of the world with Starbucks premium products and Nestlé expects to accelerate growth in out-of-home channels. Although tea dominates in Asia, there is also a shift in hot drink preference occurring. Tea drinking has historically been a leisurely pursuit, with hours spent on preparation and appreciation in a traditional tea drinking ceremony, changes in lifestyle have meant that consumers simply no longer have the time. As a result, tea is now facing fierce competition from coffee as consumers working in fast-paced cities try to emulate the trends found in successful westernized chains and the owners of these chains try to break into Asia. Some Asian countries such as Japan and South Korea, already have a developed coffee culture where the focus is now on ready-to-drink beverages, coffee supply in convenience stores, artisanal variants and even different brewing techniques. Here, consumers are becoming more educated about the process of making coffee, whereas, in the rest of Asia, the market is predominantly focused on the social aspects associated with having a cup of coffee. China, for example, is seeing very rapid growth, driven in part by its large population and consumers being drawn to trends seen in North America and Western Europe. According to Innova Market Insights’ Insight Board, China, Japan and South Korea combined, account for over a third of all product launches within the hot drinks category over both 2017 and 2018 Year-to-Date (YTD). In addition, they have all seen a growth in new product launches of three percent between 2017 and 2018 YTD. In contrast, India and Indonesia, which make up the top five, have both seen a slight decline. Starbucks is leading coffeehouse growth as multinational coffee shops are now almost commonplace in many Asian countries. Starbucks launched in China in 1999 and has since opened more than 3,000 outlets across the nation and is planning to open another 2,000 by the end of 2021. It is well known that it opens a store every 15 hours in China and in July 2017 bought over 1,000 coffee shops as part of a US$1.2 billion deal. This investment goes some way to highlight the changing consumer demands in hot drinks and the interest from local consumers.